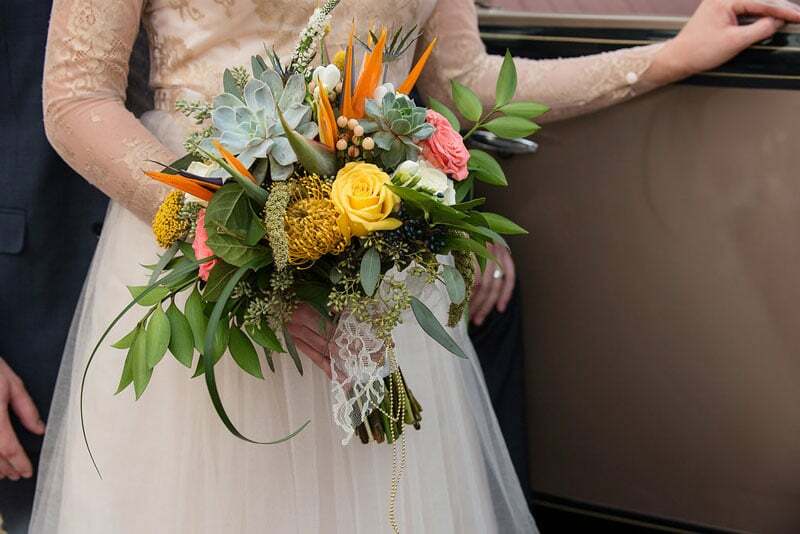 From Sophia's Art Photography: The perfect southern Floridian wedding, filled with the celebration of love and family, old world charm, modern twists, and a rich Floridian heritage is what Kate Farmer, Owner and Event Design Manager with Blue Owl Weddings & Events, imagined when creating the design and concept for this whimsical inspirational wedding style shoot event. 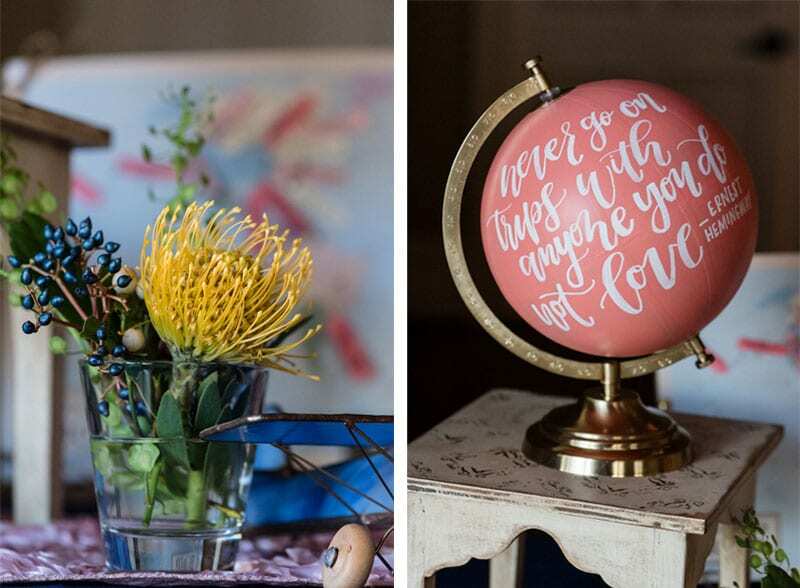 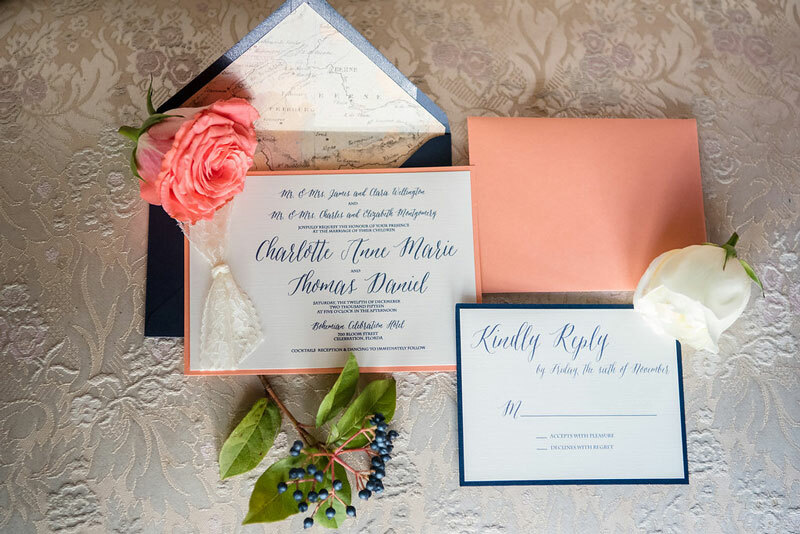 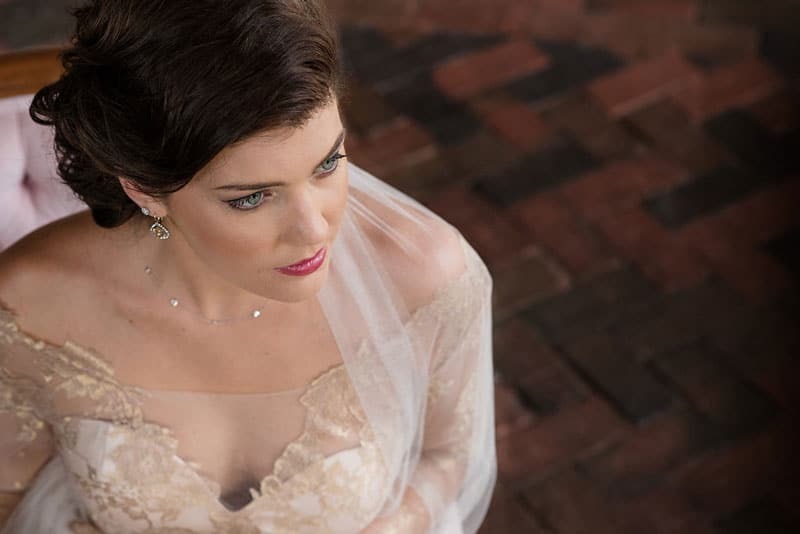 This inspirational shoot was designed to reflect and celebrate a uniquely beautiful wedding celebration, but also to recognize old world Floridian southern charm, while incorporating modern twists. 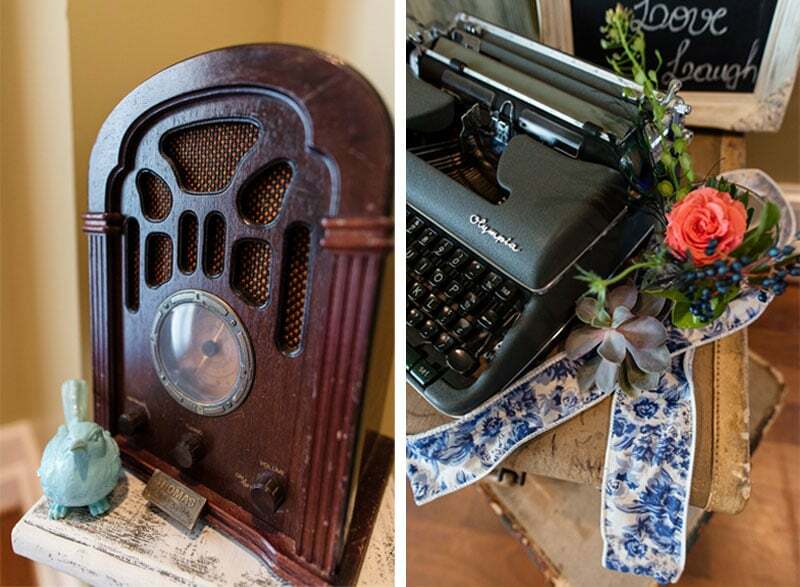 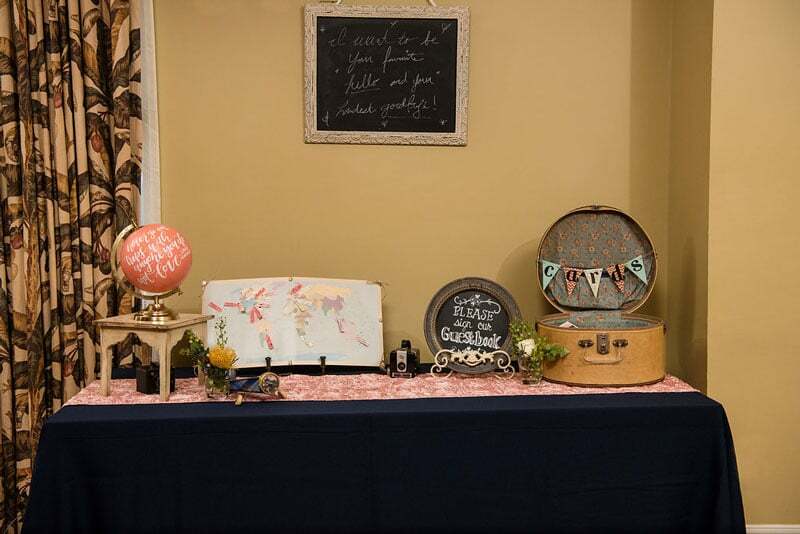 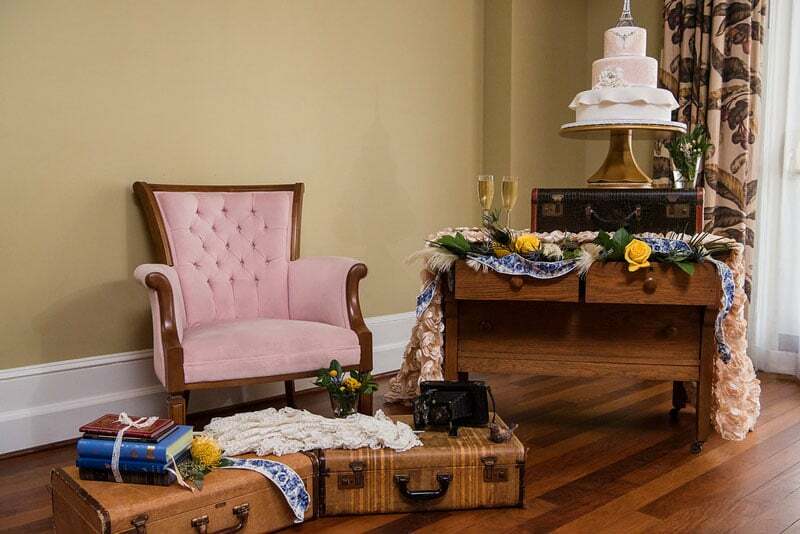 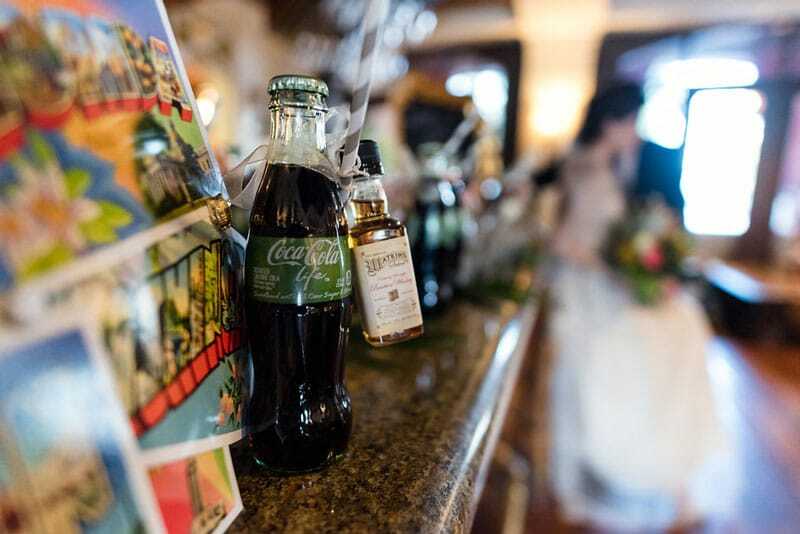 The theme was chosen to showcase the early 20th century, a whimsical time within America, when Florida first became a destination for romantic vacations and travel. 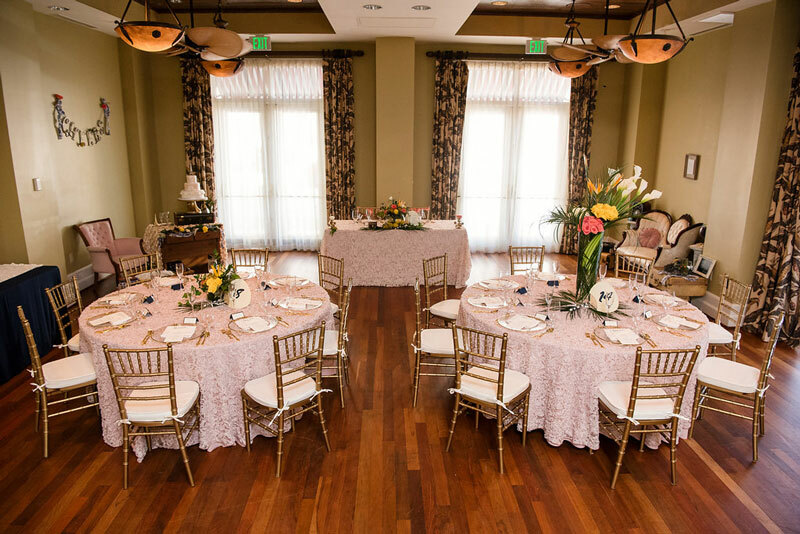 This theme was reinforced with the selection of each of the details, starting with the perfect venue, the Bohemian Celebration Hotel in Celebration, Florida and continued to be exemplified through the hand crafted details, stationary, and one of a kind décor pieces provided by both the Paper Goat Post and Blue Owl Weddings & Events. 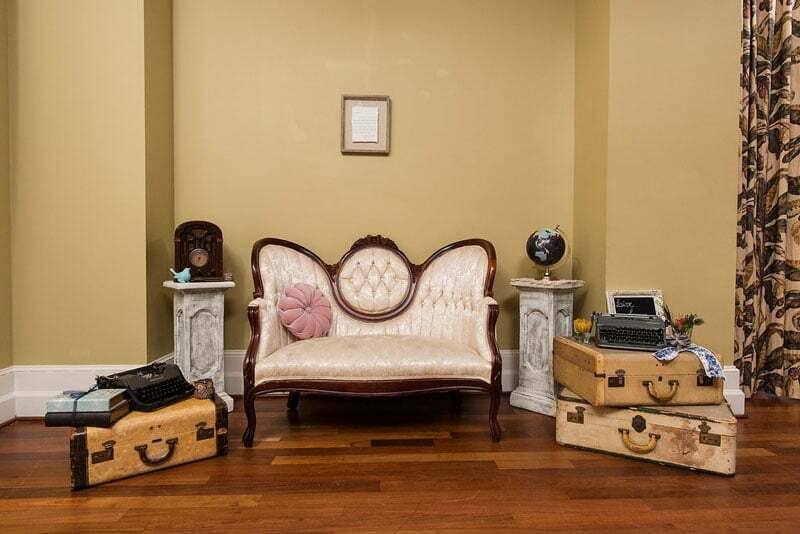 Eclectic vintage furniture pieces and signature old world suitcases, typewriters, and unique knickknacks provided by Vintage Chic Affairs added an old world flare of travel and adventure to the shoot. 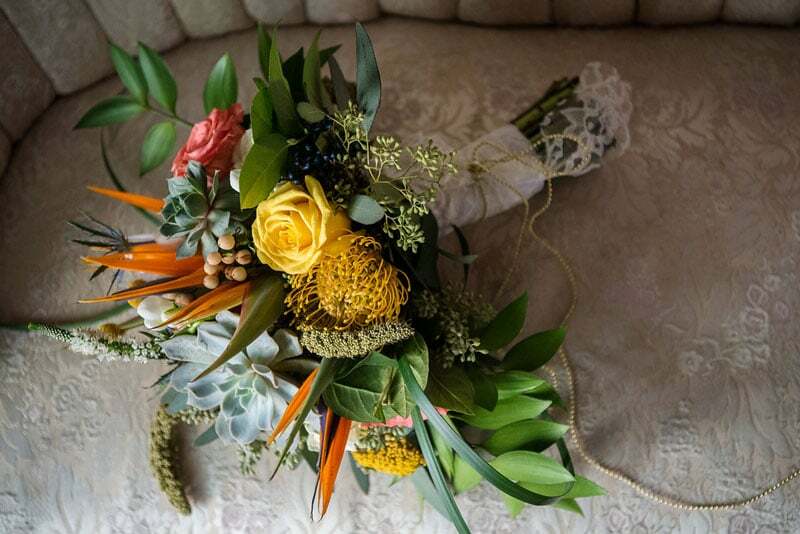 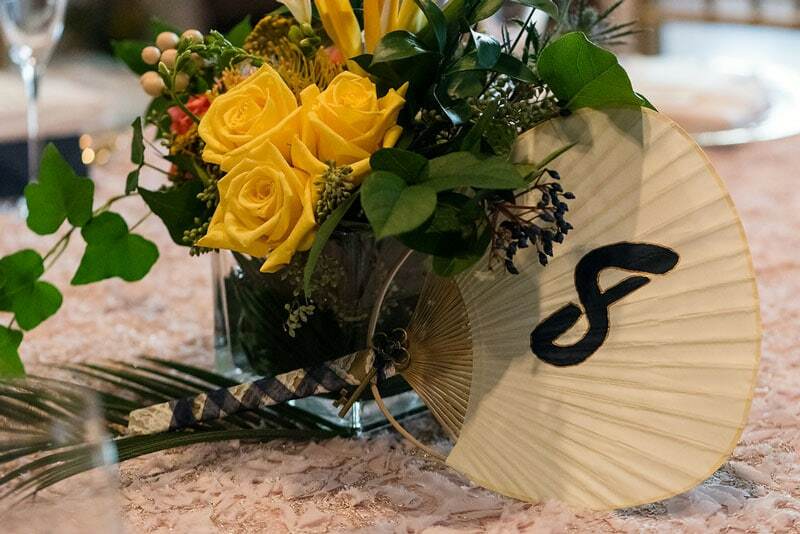 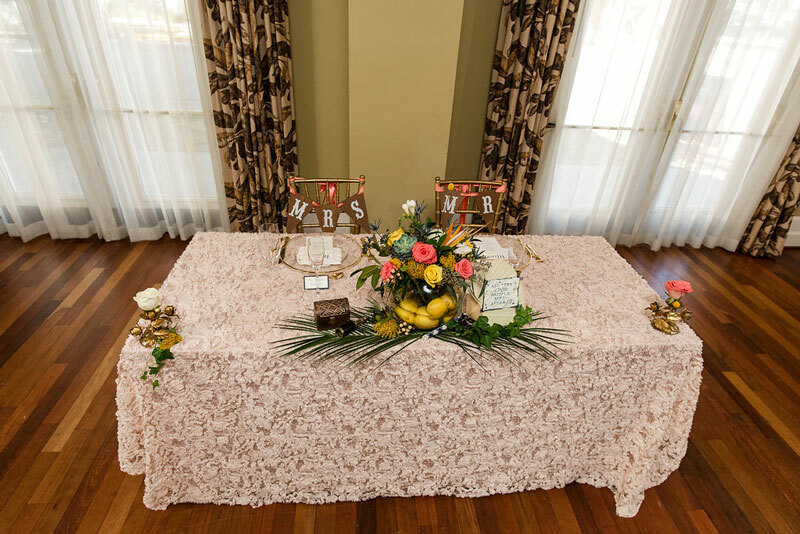 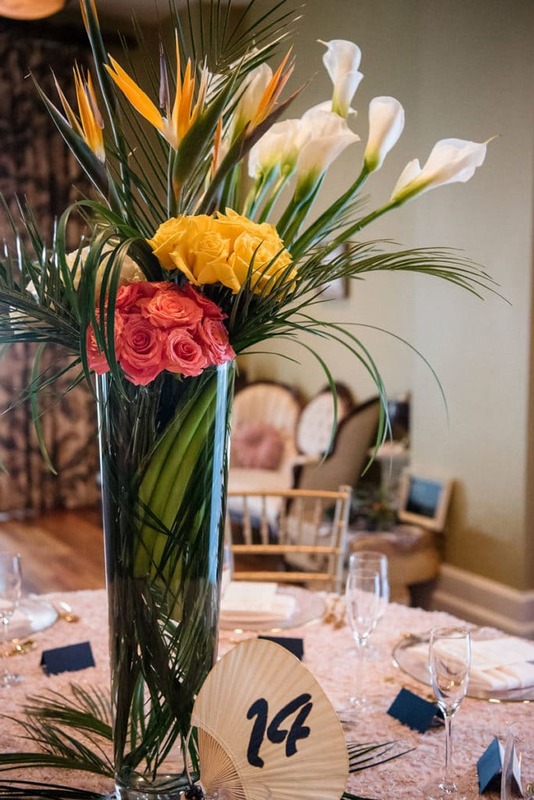 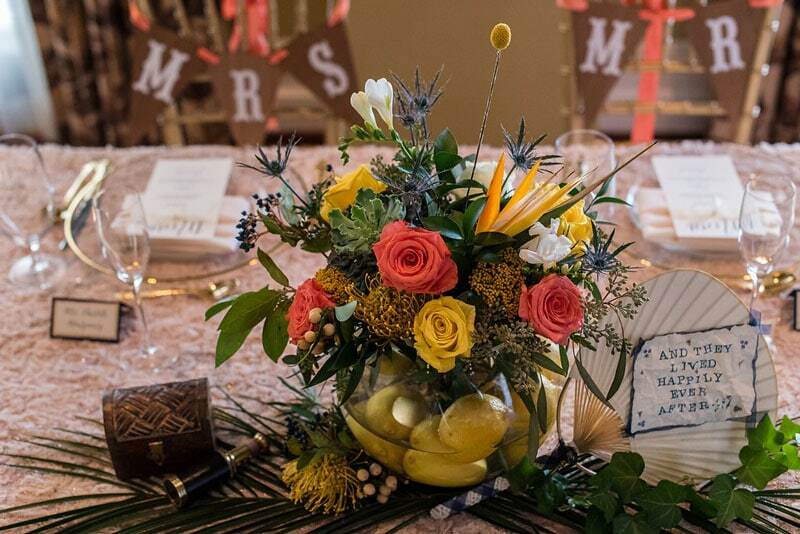 Additionally, the beautifully elegant floral centerpieces and floral highlights, provided by The Flower Studio, filled the room with appropriate bursts of color. 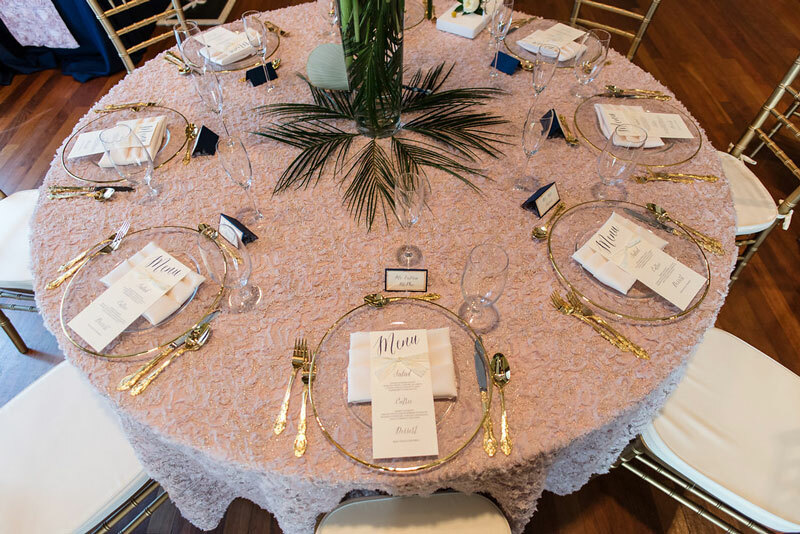 The sophisticated details of each linen selection, with lush lace patterns, blush florals, and deep navy accents were provided by Connie Duglin Linens and the glimmering hints of gold flatware, chargers, and chiavari chairs, provided by Orlando Wedding & Party Rentals, added a little extra old world charm to this classy chic occasion. 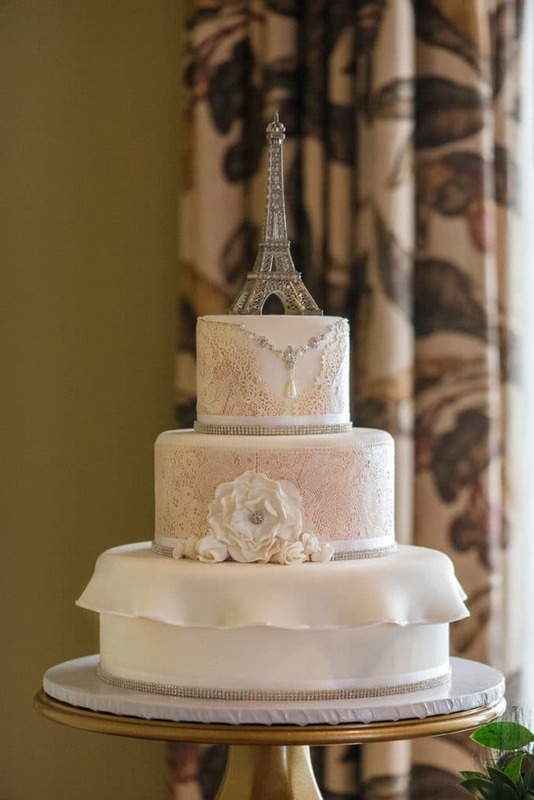 The lace pattern and blush color of the wedding cake, provided by Cake Designers, echoed the handmade lace of the bridal dress and groom's vintage suit, both provided by Krustallos Couture Bridal. 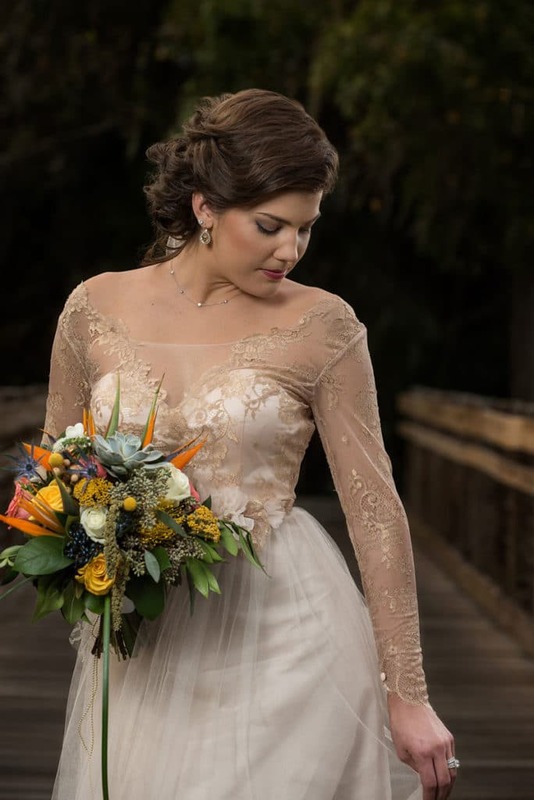 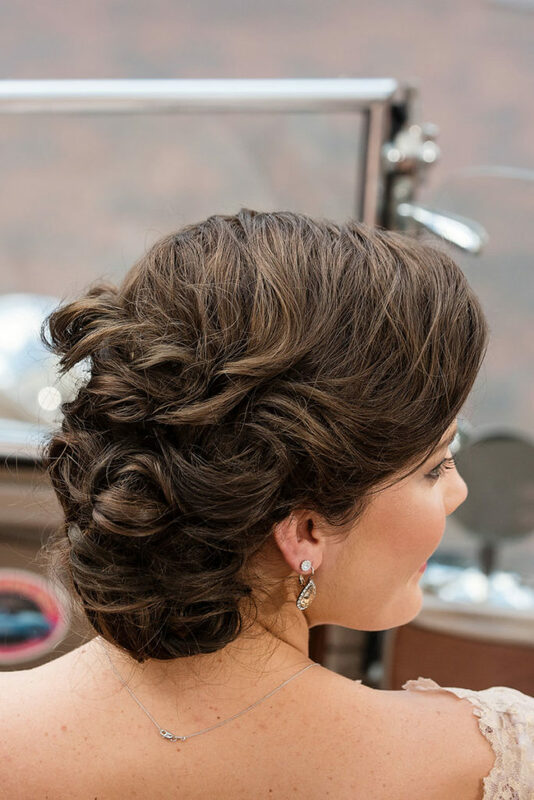 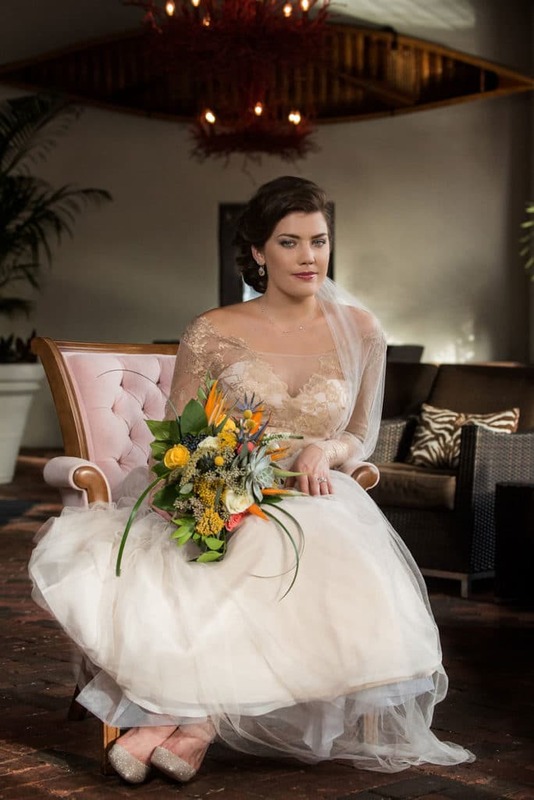 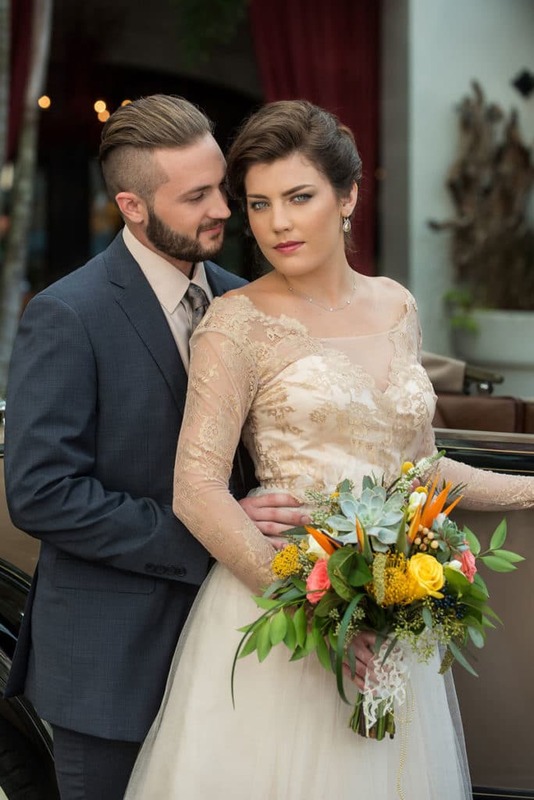 Elegant and modern hair stylings were provided by professional stylish Victoria McPhee of Victoria McPhee Studios, while the flawless make-up showcased on the beautiful bridal couple were provided by local make-up professional Karen Caballero of Karmel Design Team. 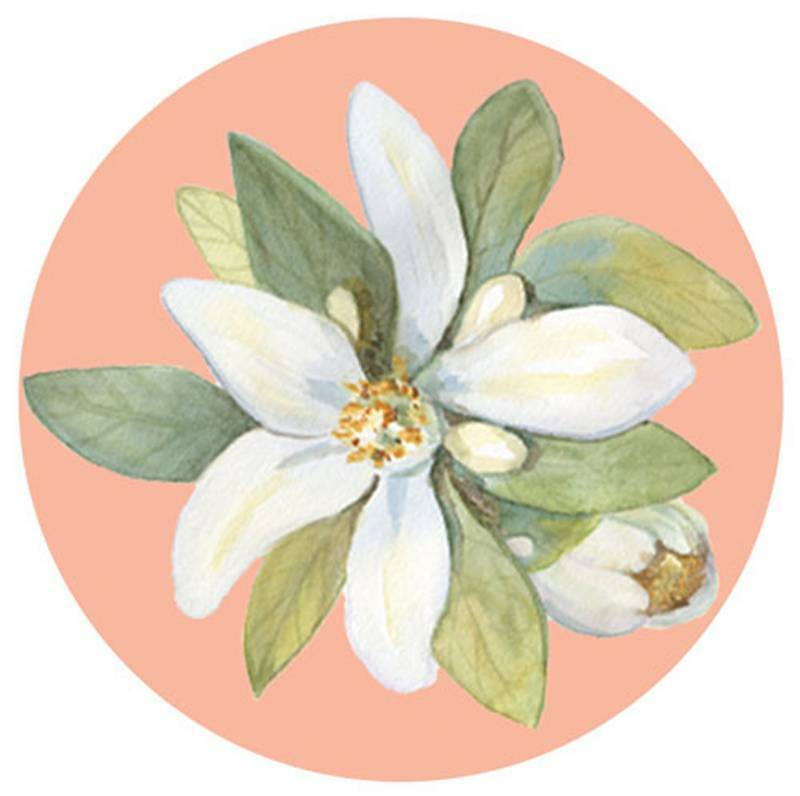 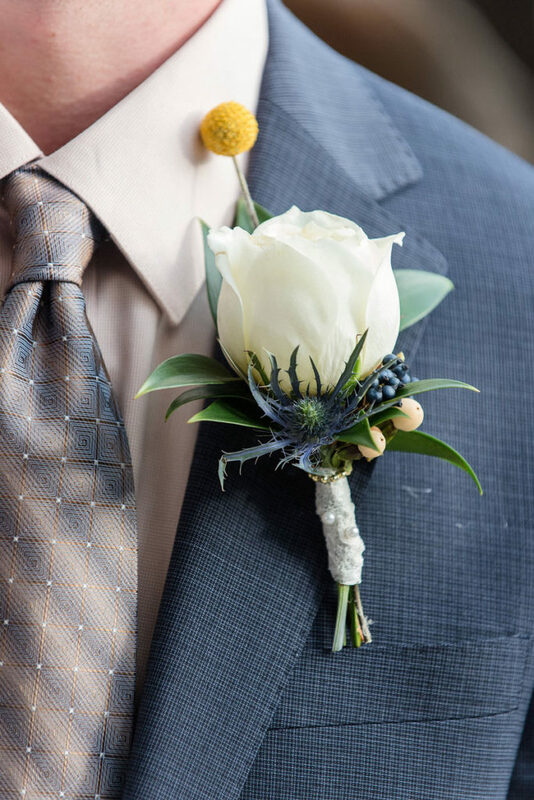 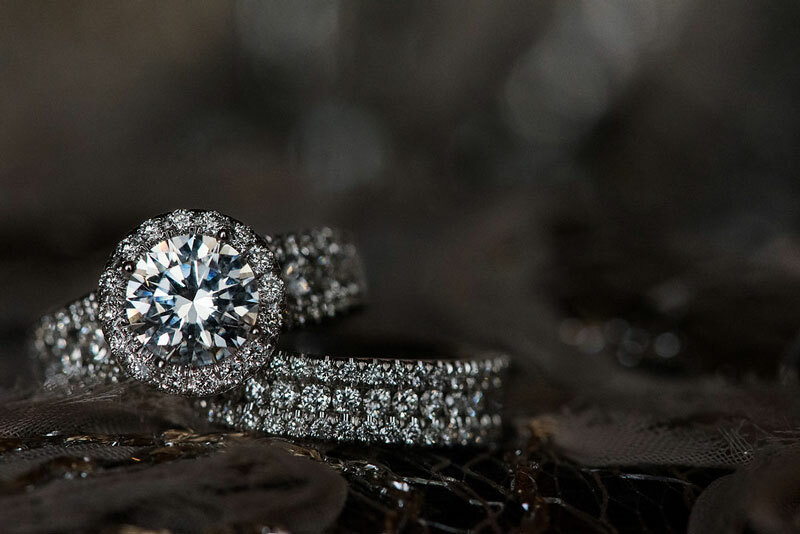 The sparkling jewels and classic rings worn by the bride and groom were provided by Winter Park jeweler, Jewels By Peter B and completed the bride and groom's authentic look. 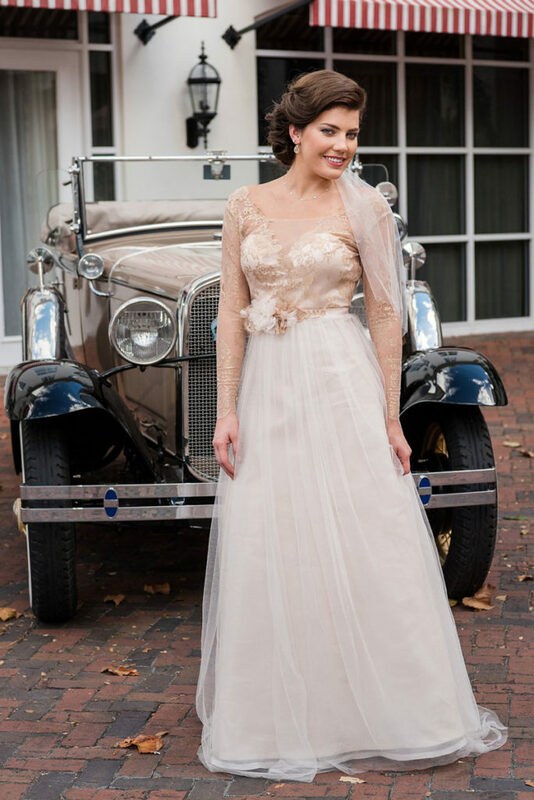 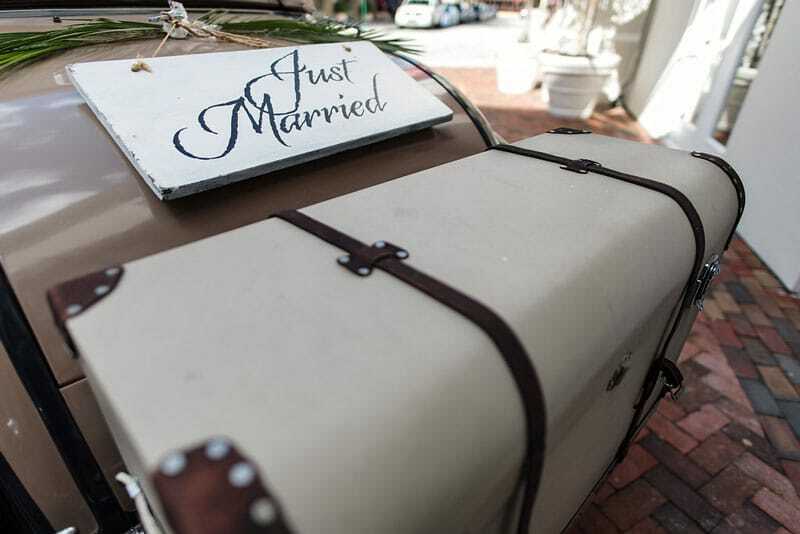 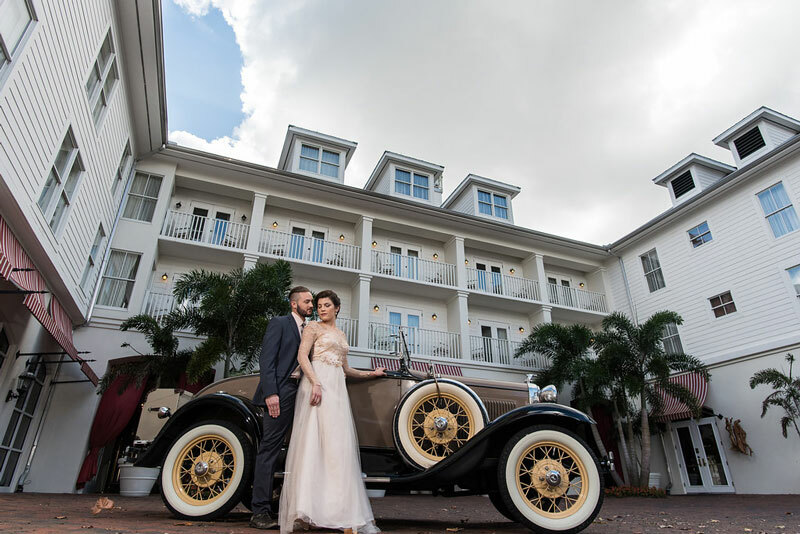 At the end of an enchanting day, the bride and groom were swept off to their honeymoon in a vintage 1930's Model A Convertible Roadster provided by Richard Brown of the Model A's of Greater Orlando Car Club. 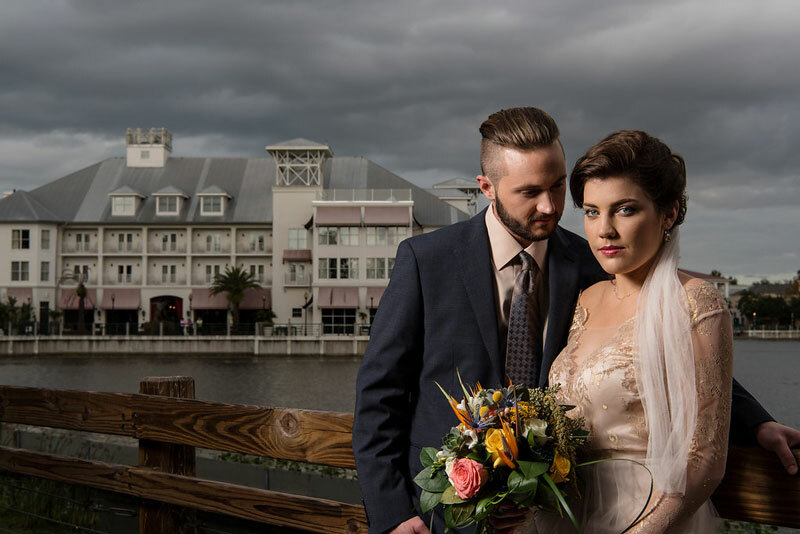 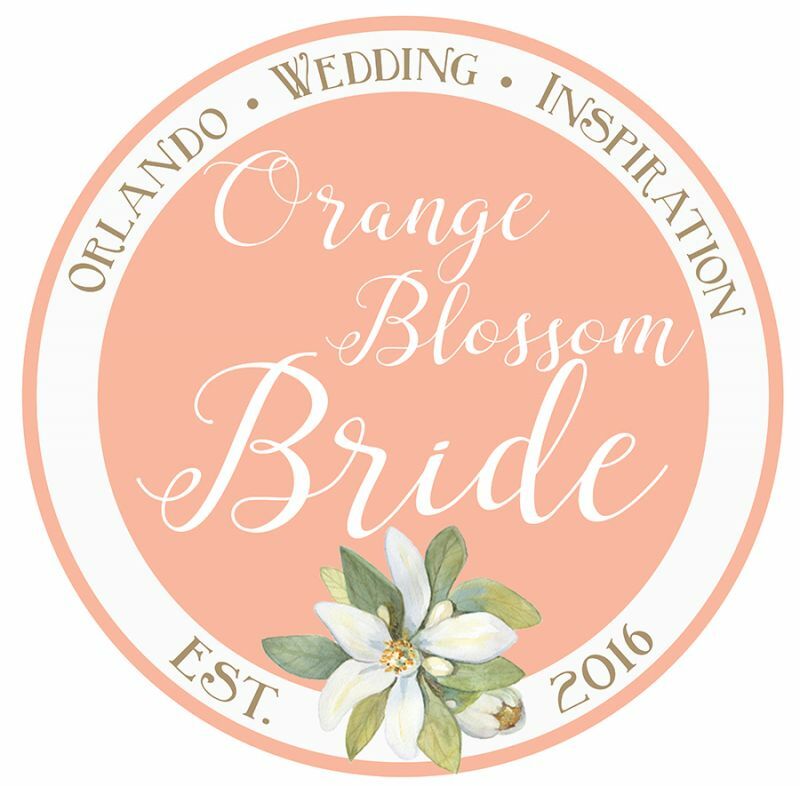 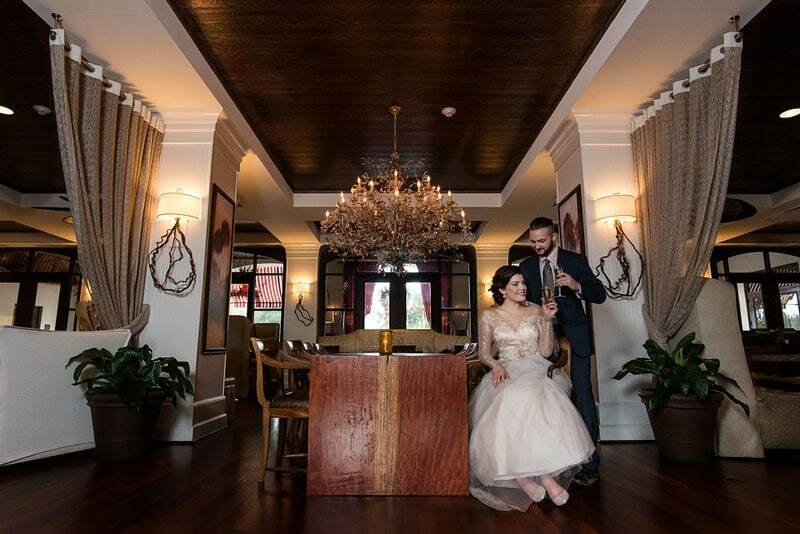 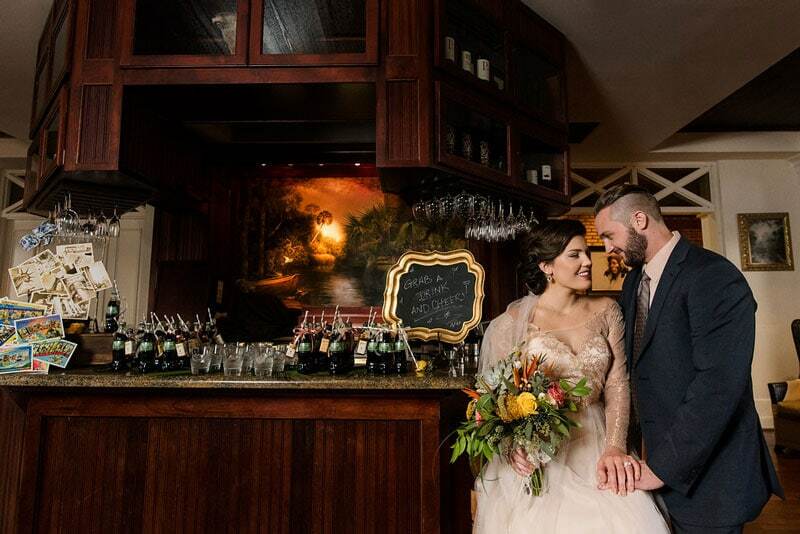 Finally, each of these phenomenal moments were beautifully captured by the local talent of Orlando Wedding Photographers and husband and wife duo, Marjorie and Nick Durante of Sophia's Art Photography.